Employee Gifts: Good for the Employee and Your Business – Write with us! According to Entrepreneur Magazine, “Staff turnover is one of the most non-productive business expenses” (White, 2014). But today, more than ever in our recent history, employees are doing more with fewer resources and balancing other life expenses. This creates the perfect storm for stressed out workers who may start to look elsewhere for a new job. The market is starting to pick up in some industries and good employees are one of a company’s greatest assets. So how do you keep your employees happy even under the above conditions? Expressing appreciation is crucial to employee and team morale, and it doesn’t have to cost a lot. Cash isn’t always the answer, especially during special team retreats or for project milestones. A special gift valued at $50 or $100 can be the perfect solution. The most important element is ensuring it’s personalized and of good quality. Have a team that travels a lot? 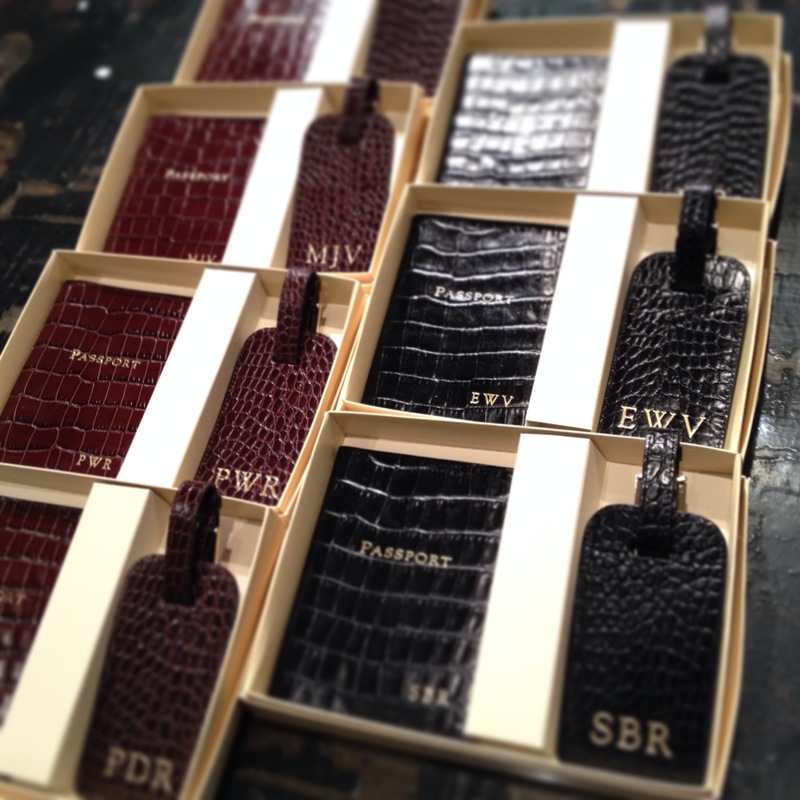 For under $100 you can order a calfskin leather passport and luggage tag set by Graphic Image with an engraved monogram, in a color of your choice, which arrives in a beautiful cloth bag and box. 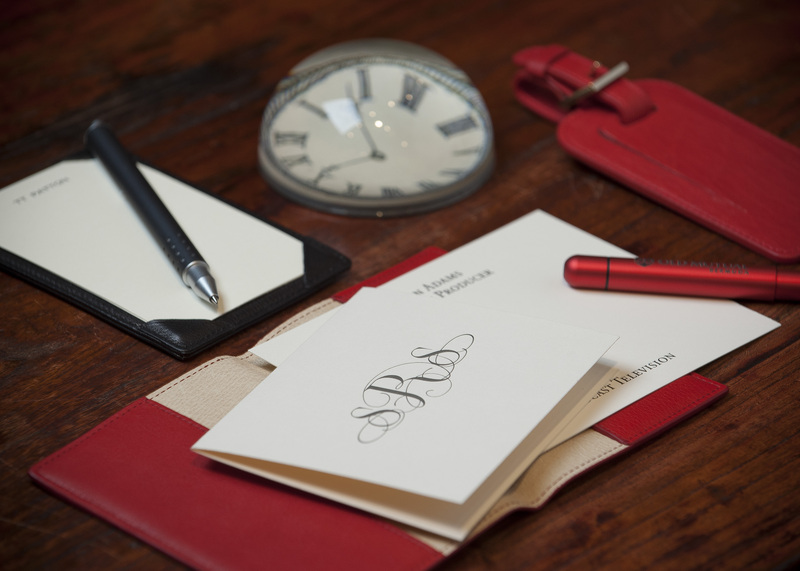 For under $50 you can order an executive assistant a set of personalized, raised ink stationery with their name or initials in script, with different font and color choices. Whatever you order, we’ll even wrap it for you! Apart from making you and your employee feel great, you get a return on your investment. Appreciation leads to an uptick in productivity. Forbes reports “the recognition further perpetuates their desire to go above and beyond for your clients” (Conner, 2014). Employee gifts are a win-win, and who doesn’t want that for their business? Next Post The holidays are coming!